There was still some work to do about my Plasma 5 package repository. The recent updates in slackware-current broke several packages that were still linking to older (and no longer present) libraries which were part of the icu4c and udev packages. So finally I had the time to cure this situation. I rebuilt kdelibs, kde-workspace and all the telepathy dependencies, updated all the KDE Telepathy packages, and also compiled a git snapshot for the kio-mtp package after some people complained about the Unicode character in its ‘slack-desc’ file which caused breakage in pkgtools. Hopefully, everything works again this time. Even Telepathy. Tell me your experiences with Amarok and the Plasmashell which were crashing for some people. And especially Plasmashell crashing leaves you with no desktop at all. I have applied the recent updates and can confirm telepathy icon is present, ‘Online Accounts’ opens with out error. GUI fragmentation/flickering is no longer present for me. I can’t change default image viewer to gwenview, this image(jpeg,png other) always open with GIMP. i change default image viewer to gwenview with properties on dolphin always back to gimp as well as on system settings. Should i rebuilt some of it’s libraries? Yep, I tested too, I didn’t found any problem until now. I can confirm telepathy is here and working again. Thanks!! I was wondering in order for me to build and use Kdenlive 15.12 I have to uninstall qt-4.8.7 or when it starts it loads qt4gui and segfaults. You think in the future qt4 we need for kmix can be moved to /opt/kde4 and then LD_LIBRARY_PATH for those that need the qt4 libraries. Drakeo – if you compiled KDEnlive and it tries to link against Qt4 then something is wrong in your build script. There should not be any reason for Qt4 to be moved to /opt . I agree with you it is a kdenlive problem it seems it uses a ldd type of start up . you get no trace back . but the kernel message was something error libqtgui.so.4 and crash. but if you do a ldd /usr/bin/kdenlive it is not linked to it. this blew me away this tells me they are preloading /usr/lib64 in a start up. Eric I been working on this for a while now. sorry I had no choice. You can say what you like sure. But this happens. Over and over. 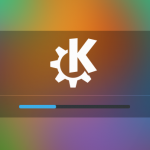 take a stock current -kde5 and build kdenlive you will reproduce this from 15.03 up 15.12.
as for simple screen recorder building on our qt5 I am working on that issue. The latest qt5 seems to cause issues when building. right now I am happy I have a stable rebuilt kmix that playback streams. and events actually works. built from the github. simplescreen recorder does great pulse audio and jack2 and qjackctl. Last but not least all in multi-Lib. pat your self on the back I am loving the new tools. One problem with your build. Not clearing document out of kmenu. no option for it. The binaries in /usr/lib64/qt5/bin from qt5-5.5.1-x86_64-1alien appear to be linked against libicui18n.so.51, and it looks like your latest build of that is icu4c-56.1-x86_64-1. Am I looking in the wrong place or does the package need a rebuild? No, i have tested here, and qt5.5.5.1 don’t depend on old icu4c package. Jon – you installed the qt5-5.5.1 package from my Slackware64-14.1 repository. That one is not compatible with Slackware64-current. Doh! That’ll teach me to upgrade machines and not check package source urls. Thanks. during startup. As long as libQtGui.so.4 is part of the path ld.so.conf and pkg-config during build time kdenlive will look for it try to load it. It conflicts qt5 and creates the segfault. It is not actually linking to it. the start up pulls it in. Drakeo, can you check if you have configured kdenlive to use libvlc? According to https://bugs.launchpad.net/ubuntu/+source/vlc/+bug/1328466 there will be a clash between your Qt5 based kdenlive and Qt4 based libvlc. Should be fixable by forcibly refreshing the VLC plugins cache by running vlc-cache-gen.
echo "Generating VLC plugins cache data..."
Since the battery icon wasn’t showing up in the tray(a bit annoying for a laptop), I tried to compile upower. Installing it didn’t solve anything (seems that v0.99 doesn’t work with pm-utils) and reverted to v0.9.23. Now battery icon is hidden but present (changing to show or auto doesn’t work, only “show all” toggle has effect…) but I ‘ve lost hability to suspend (works from cli). Reverting to official package of upower didn’t solve anything. @Tonus – only one \”serious\” problem with battery status – horizontal orientation (previous vertical version IMHO looked better). Tonus, the battery applet just works on my laptop. And hope it will restore kde’s suspend capability. Did I forgot to reboot once more? For battery icon, still the problem so added a new one that works. I ran into the same issue when I had to recompile telepathy-qt5. The new gstreamer-1.0 has split its header files into two separate directories and programs using pkg-config to determine the correct CFLAGS will not have any issues. Unknown Cmake command “check_include_files” in applications:kuser and also in the following application. I hate to be a bother, but I’ve been trying to follow your slackbuild for several days. Can’t seem to figure this one out. You want to rebuild the packages instead of using the ones I provided… you have to figure out the cause of your own issues. I do not know your local setup so all I can tell you is “works for me”. My local setup is a fresh install of current and a fresh rsync of alien-kde/source. I know your are a very busy man, but I like to trouble shoot and this is a tough one. There are several flavors of Q_WS_xxx in the CMake file which need to be replaced with Q_OS_xxx. However I don’t know how to incorporate it into the SlackBuild. At this point I guess I have to accept failure. Again Thank You for all you do for Slackware. I am just replying to my own post in the hope it will help another Slacker who is having similar problems. John, I will find out soon enough when I start work on the next series of KDE 5 packages later this month… be sure that I will find a solution. Just noticed I have no more preview in Dolphin for pdf/postscriptfiles (and no option for it to show). version that for gnome-3.18 and derivated.